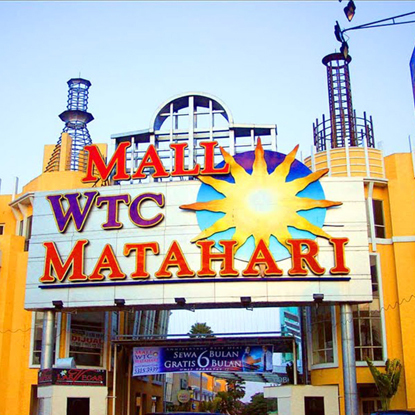 Mall WTC Matahari is located along Jalan Serpong Raya, Serpong within the administrative area of Tangerang, Banten province and is approximately 18 km west of Jakarta’s Central Business District. It is connected to the fast-growing, middle-upper to upper class BSD residential estate, the largest residential estate in Greater Jakarta. Tangerang’s physical proximity to Jakarta led to the recent growth of residential estates and satellite cities, housing people who commute to Jakarta for work. 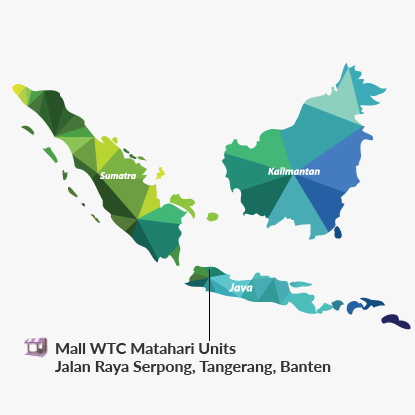 The Mall WTC Matahari Units comprise four strata units on part of the ground floor, upper ground floor, mezzanine and second floor of the building. They are currently utilised as a department store, hypermarket and entertainment and game centre.